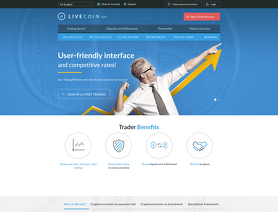 LiveCoin is a cryptocurrencies exchange. Live Coin allows users to buy, sell and exchange Bitcoin, Litecoin, Ethereum and other digital currencies. Blocked and frooze account without reasons. Questioned them about their high withdrawal fees on some alt coins when compared to other exchanges.